Are you on a search to learn how to get clear skin? Beauty is synonymous with s having good skin care. These habits can contribute to healthy, younger looking skin. One such habit is taking into consideration our skin’s need to breathe. Each and everyday we put on makeup, apply creams and lotions, and subject our skin to environmental toxins that clog our pores. We need to take care of our skin to ensure that it has the time to breathe and rejuvenate for the next day. One of the most important parts of learning how to get clear skin is letting your skin breathe. At least once a week, take a day where you don’t use any product on your face, including makeup and facial creams. This will allow your skin the chance to breathe, and will give it a much needed break from pore-clogging products. This is especially important for those with sensitive skin or who are prone to breakouts as the buildup of preservatives and oils in the makeup can cause blotchiness or acne. Wearing makeup can be the cause of the blemishes you are trying to conceal, thus the beginning of a vicious cycle. Wearing makeup less often may clear your skin to the point where you don’t need to use as much concealer. Even if you wash your face regularly throughout the week, you can still unknowingly leave behind makeup residue, so a day or two on the weekend without makeup will ensure your skin is at its best, come Monday morning. 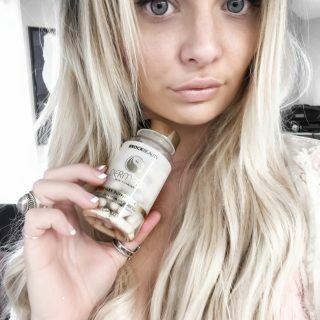 Going makeup free for a day may be difficult for some women, especially if you are used to wearing makeup on a daily basis. 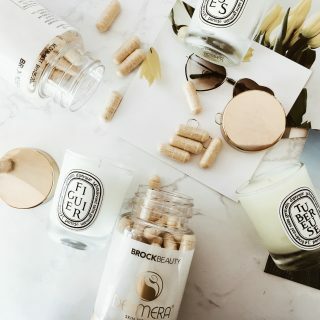 However, by giving your skin the chance to breathe once a week and following a good cleansing routine, you are actually taking steps to improve the condition of your skin, as skin needs exposure to fresh oxygen in order to improve its appearance. Staying hydrated is not only important for your body, it’s important for learning how to get clear skin. There are a lot of ways to hydrate your skin, from using a moisturizer to drinking more water. Hydration is vital in the quest for supple, radiant skin. Hydrating your skin helps to let it breathe – the water you take in aids in the amount of oxygen you will gain in your body. Water plays an important role in the process of delivering the oxygen right through your system, including the outer layers of your skin. Try drinking at least 8 glasses of water a day. In order to ensure you’re getting your full 8 glasses a day, try drinking 2 glasses right away when you wake up. Then have at least one to two glasses of water before each meal. Remember though, nothing happens overnight so you may not notice the results of increased hydration for a few weeks. Drinking water is the best way to hydrate your body but sometimes we just don’t get enough. 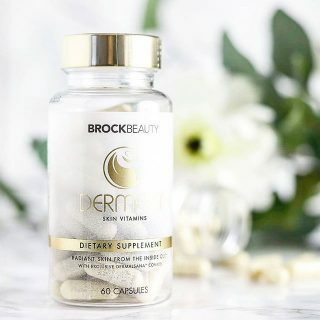 That’s why taking a supplement like Dermera skin care vitmains can help you get the hydration your skin needs, in a simple capsule form. 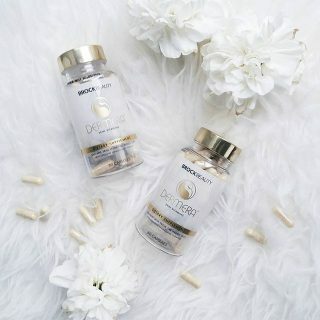 Dermera contains resveratrol and biotin, which help to hydrate and firm the skin from the inside out, giving it a more healthy and youthful appearance. Without proper hydration, our skin will turn dry, flaky and tight. Dry skin is less resilient and thus more prone to wrinkles, something that we are all trying to avoid! Hydration can also come in the form of a good moisturizer, applied after your cleansing routine. The single most important thing we can do each day when discovering how to get clear skin is to cleanse. The texture, tightness and long-term health of your skin is defined by how you take care of it. That means cleaning off the makeup and products we put on our face each and every day is a major step in keeping our skin bright and healthy. Make sure that your skin is cleaned properly before you go to bed each night and when you wake up in the morning. If you work out on a regular basis, it is important that you also cleanse your skin after your workout as bacteria and sweat can build up on the skin. Not cleansing your skin properly can lead to clogged pores due to the makeup particles and environmental dirt left on your skin. This can attract bacteria and other microbes, causing acne and skin infections. 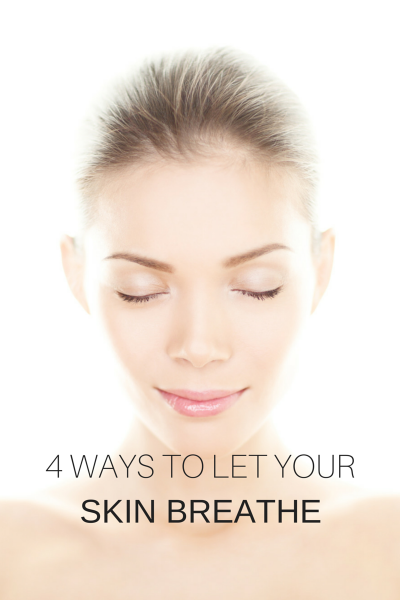 Proper cleansing of your skin involves a few key steps. Begin by gently washing your face using a face wash or cleanser that is designed for your skin type (normal, oily, sensitive etc). Remove any eye makeup that is on your eyelids, lashes or under the eye area. Use warm water to wash your face and gently pat dry with a soft towel or cotton ball. It is important that you follow this routine daily, both morning and night, and after working out. Cleansing incorrectly can cause excessive drying, oily skin or even breakouts. For example, cleansing more than twice a day can strip your skin of natural oils, but not cleansing enough can lead to excess build-up and breakouts. Exfoliation is an important step to help you achieve fresh, clean skin that breathes. It is an essential step when trying to learn how to get clear skin. Oil, dry skin and makeup can clog your pores and while cleansing every night is important to rid your skin of this build up, it doesn’t fully solve the problem. 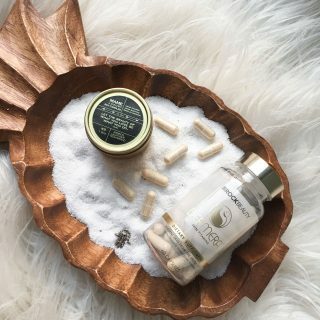 Exfoliation should be a part of your beauty routine at least once a week when applying techniques of how to get clear skin. This will ensure you are removing any dead skin cells to help refresh your skin. As you may already know, the benefits of exfoliation are endless. Exfoliation helps to keep the outermost layer of your skin at its natural pH, thus protecting the layers of skin underneath. By removing the dead skin cells, exfoliation is essentially working as a moisturizer and allowing fresh, new cells to get out thus leaving your skin looking supple. Exfoliation also helps to improve the texture of your skin and can help revive tired, rough or dry skin. Exfoliation is especially important as we age due to the fact that our skin’s ability to shed dead skin cells diminishes as we age. Dead and dull skin cells often make fine lines, wrinkles and dry skin stand out even more. Exfoliating regularly will help to shed those dead skin cells! If you experience breakouts of any kind (whiteheads, blackheads), exfoliating your skin will help to clear your pores and keep them clean and unclogged. When your pores get clogged with dead skin cells, oils from your skin can get trapped beneath the surface, which then causes pimples. Keep pores clean and clear by exfoliating at least once a week. Allowing your skin to breathe will help you to feel more fresh and radiant, while also helping to keep any unwanted skin problems at bay. 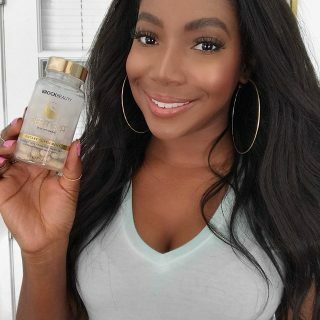 Make sure that you are following a proper skin care routine including cleansing and exfoliation to give your skin the tools it needs to breathe and rejuvenate. 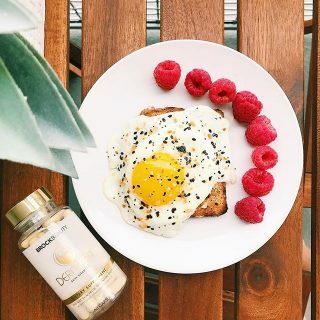 Following proper nutrition, including a balanced diet, keeping hydrated and taking Dermera natural vitamin supplements, is also essential in the quest for great skin! 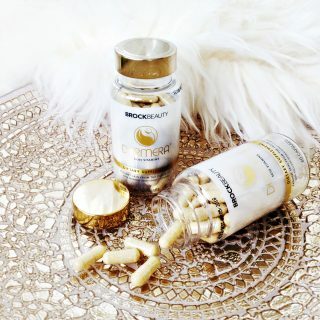 Do you want a firmer, softer, smoother, even-toned, glowing skin? 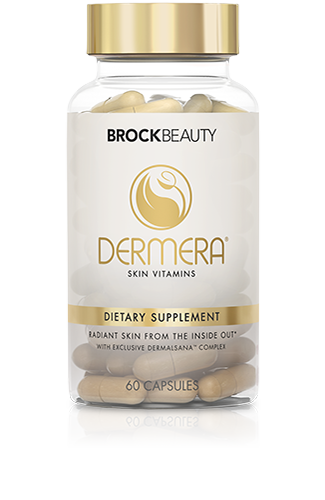 Unlike topical products such as creams and serums, Dermera skin care vitamins works from the inside out. 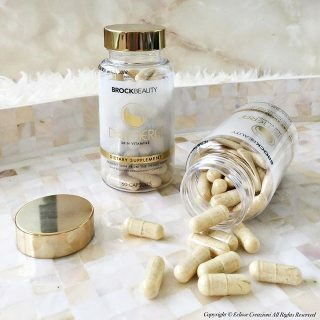 It provides your face and body with proven ingredients for healthy skin such as collagen, MSM, CoQ10, Resveratrol, and more. 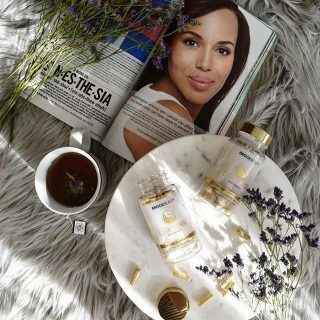 These ingredients are proven to hydrate and firm the skin, giving it a more healthy and youthful appearance. 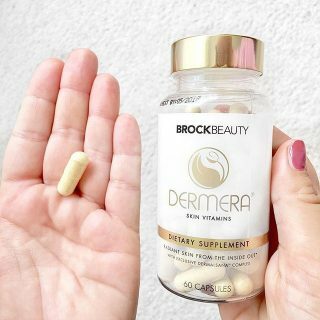 Dermera is not just limited to the face, it’s a FULL-BODY solution. SHOP NOW. 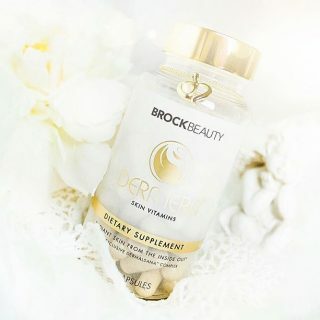 Visit Dermera Skin Care Vitamins’s profile on Pinterest.